The next case will be sent on Wednesday, November 8, 2006. 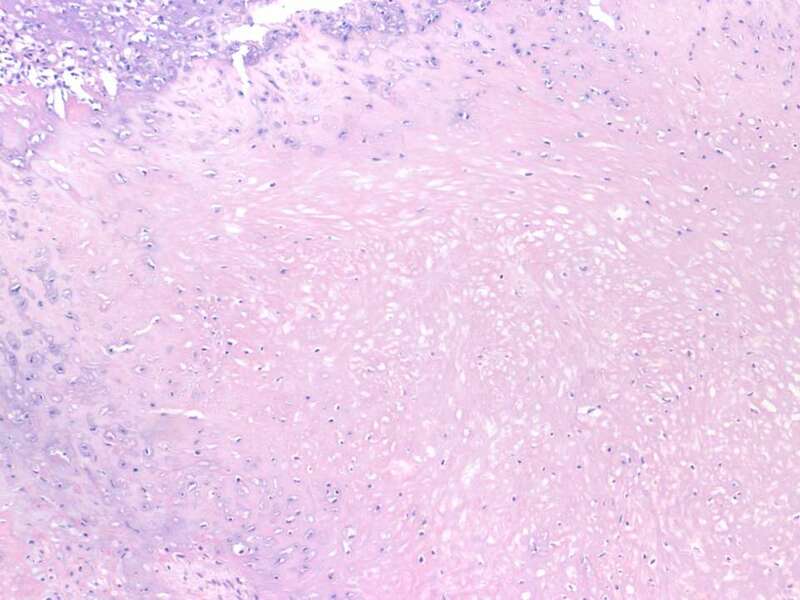 A 53 year old man presented with a 4 month history of a protuberant and painful left anterior pretribial mass.� Eleven years previously, he had an excision of a similar mass in the same location.� Metabolic laboratory studies were within normal limits, including a phosphorus level of 4.4 mg/dL.� An excisional biopsy was performed. Phosphaturic Mesenchymal tumor is extremely rare.� It affects women slightly more commonly than men, with a median age 53 years, but a wide range of 9-80 years. 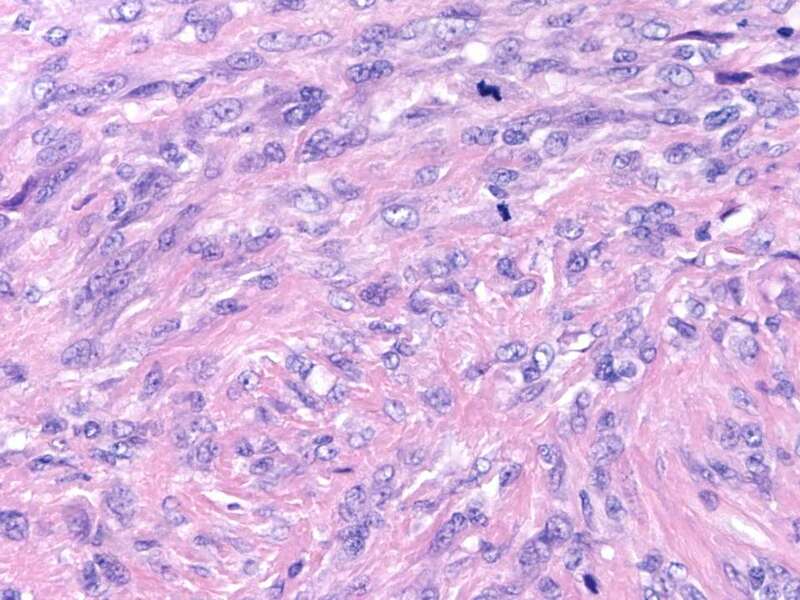 Grossly, the tumors may be up to 14 cm, and arise in soft tissue and bone.� They are hypocellular, composed of bland spindled cells with small nuclei and indistinct nucleoli, as well as osteoclast-like giant cells.� The stroma exhibits myxoid change, a distinctive �grungy� calcified matrix, metaplastic bone and fat.� There may be hemangiopericytoma-like vessels, microcysts and hemorrhage.� The tumors are infiltrative, but there is typically no/rare mitotic activity, and no atypia.� Cases are considered malignant if they have nuclear atypia, high cellularity and 5+ mitotic figures/10 HPF. 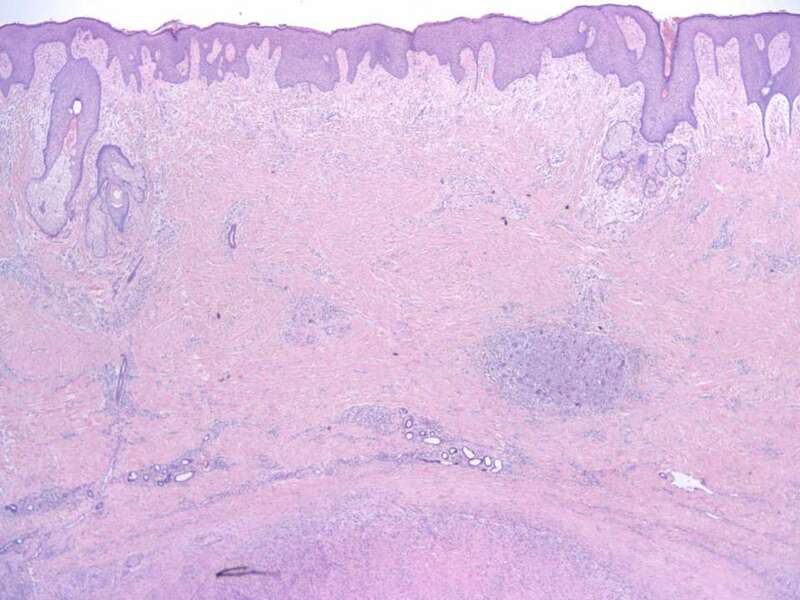 Immunohistochemistry is not routinely used.� However, the tumor cells are immunoreactive for fibroblast growth factor-23 (AJSP 2004;28:1) and dentin matrix protein 1 (Mod Path 2004;17:573), which are thought to mediate their metabolic effects, and may be useful in difficult cases. 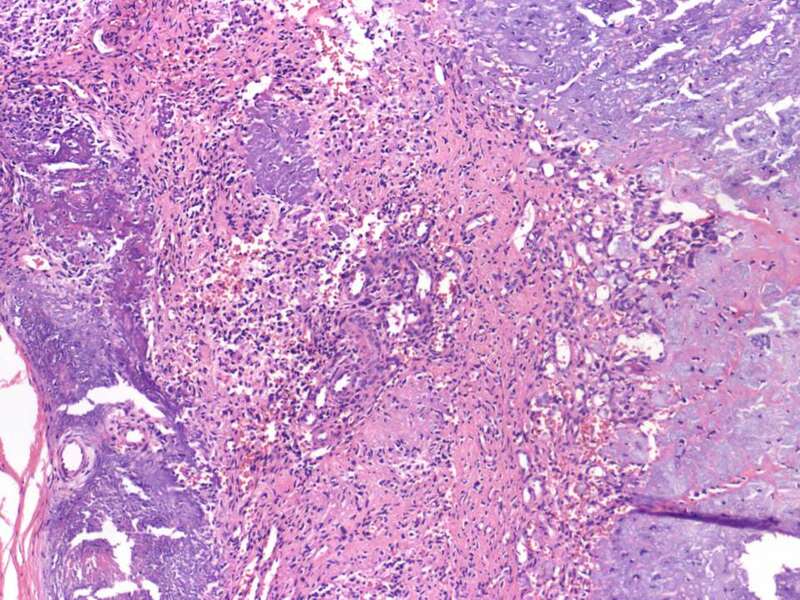 The differential diagnosis includes other mesenchymal tumors, such as hemangiopericytoma, osteosarcoma and giant cell tumor. 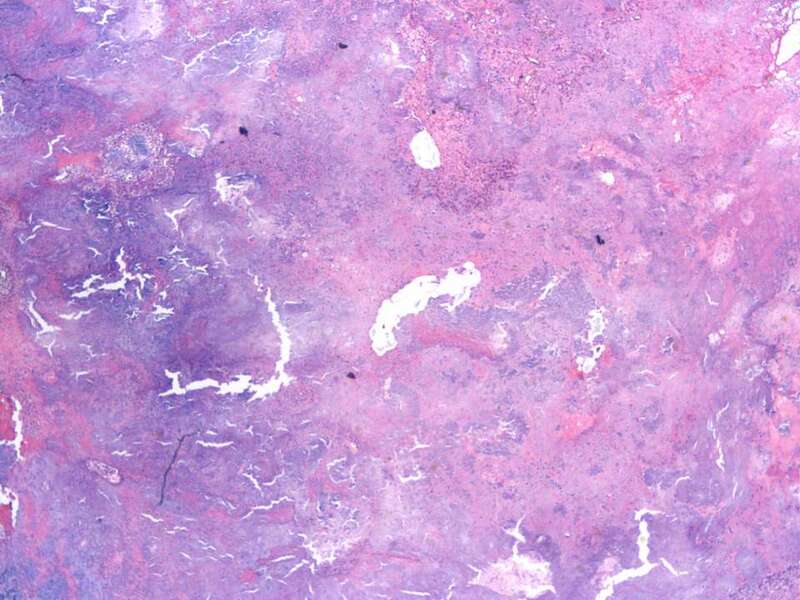 This case showed a normal phosphorus, which is not typical, and some mitotic figures.� However, the diagnosis was confirmed by Dr. Christopher Fletcher at Harvard.